Uh oh…it's not possible to order less than 1 unit of this product. Sorry, you can only order up to 20 units of this product! A mini poly tunnel that retains heat and humidity and is ideal for pre-warming ground and ripening crops. 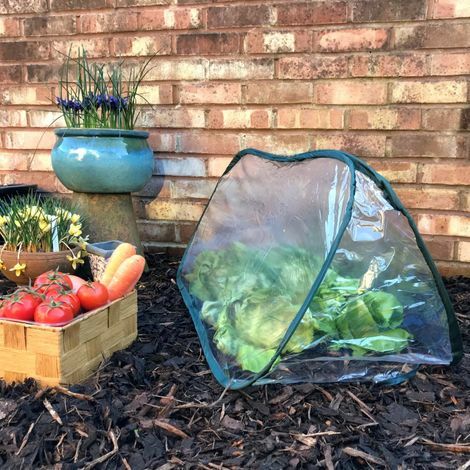 Unlike other cloches on the market, these cloches self-assemble in seconds – simply open the bag and they pop into shape. No work, no fuss and no tools needed! Use them on fruit & veg patches, over raised beds or put them inside poly tunnels for double insulation of vulnerable plants during winter. What do our customers say about us and our sellers? great seller, quick and efficient!!! Yes item was good price and quick delivery. Took a few days befor the delivery van firm received the items. Yes - answered our query quickly and delivered promptly. The deliverer could be advised to stand gates up the correct way so the tops are not damaged. Good back delivery could be quicker. Nothing in the product description about non-UK size tap tails. Receive exclusive offers before anyone else!